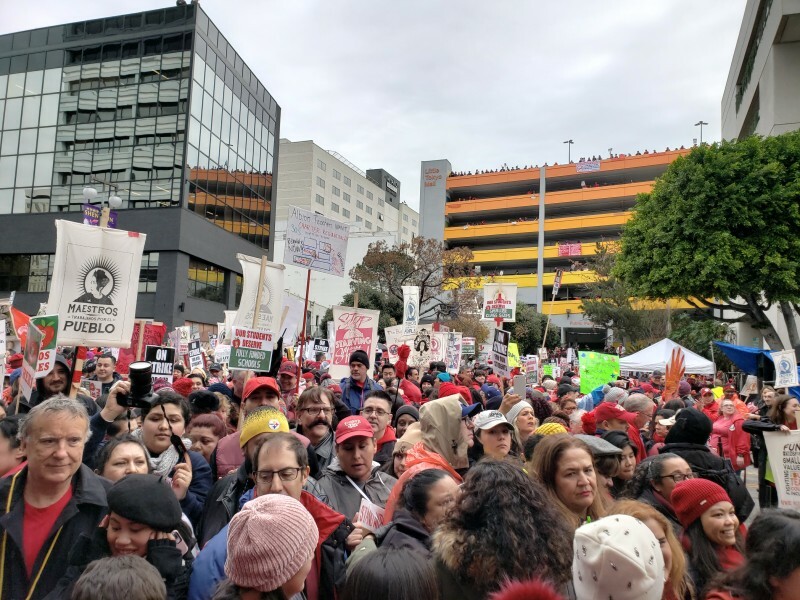 UTLA rallies against privatization on day 2 of teachers strike | Fight Back! Anti privatization Centro CSO banner at UTLA rally. 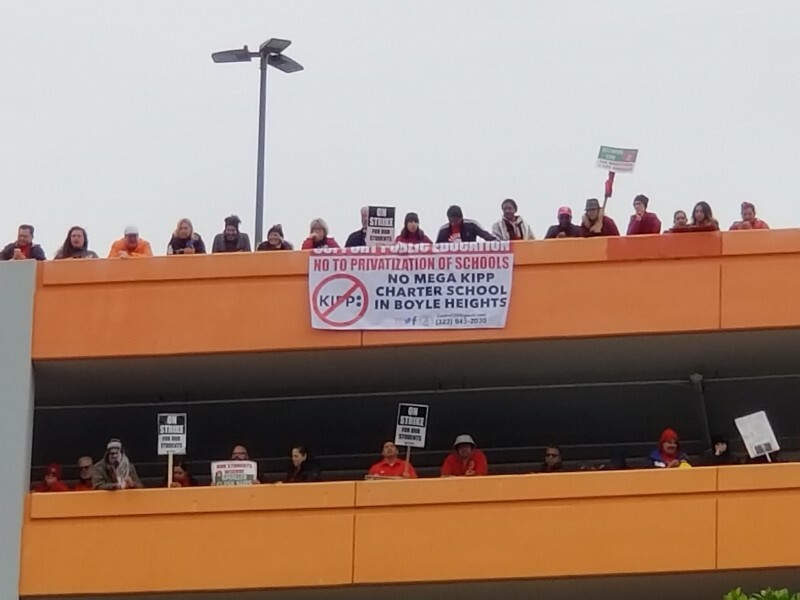 Members of Centro CSO and Freedom Road Socialist Organization showed up at Breed Street Elementary, where a campaign has been waged against a mega KIPP Promesa Charter school in Boyle Heights. Teachers at Breed Street Elementary, like Carlos Cerdan, a teacher with 18 years of experience, have also been fighting against the colocation by Extera Charter at Breed Street Elementary. Over 400,000 students have not attended school during the UTLA led strike and some 30,000 teachers and support staff have gone on strike. On the first day of the strike an estimated 27,000 teachers went on strike. Day two has reported a large growth, and even more are expected to participate in the UTLA strike. A mass rally comprised of a sea of red shirts in downtown took place around 10:30 a.m. 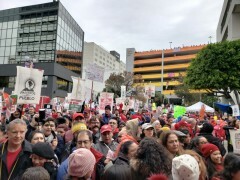 The massive UTLA group gathered for a protest at the offices of the California Charter Schools Association (CCSA). CCSA has funded pro-charter candidates in LAUSD and state-wide elections. The rally included Eloisa Galindo, mother of Marianna Avenue Elementary school students. Galindo denounced the proliferation of charter schools in East LA and said it was the rich attacking public education with the goal of privatization. The enormous rally ended with a performance by the Chicano band Ozomatli. Next up for UTLA are plans to continue the daily picketing, regional actions and ending each school day with another picketing.